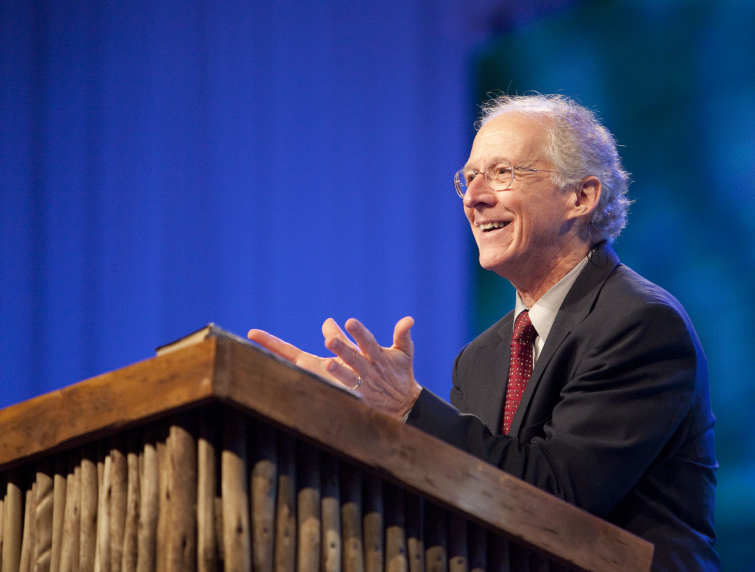 Yesterday on Desiring God, the trusted and renowned pastor John Piper delivered an unpopular and, frankly, wrong message on why women, Biblically speaking, can't be seminary teachers. "The attempt to distinguish the seminary teaching role from the pastoral teaching role in such a way that the biblical restriction to men does not apply to the seminary teaching results in a serious inconsistency. That's my argument. "The inconsistency is this: the more one succeeds in distinguishing the seminary teacher from the pastor-teacher, the more one fails to provide the kind of seminary education enriched by the modeling of experienced pastor-mentors. In other words, in seeking to justify women teacher-mentors for aspiring pastors, one will be hard put to stress that they're not in the same category as pastors, and thus, as we believe, out of step with the Scriptures. "Let me put it another way in the form of a question. If it is unbiblical to have women as pastors, how can it be biblical to have women who function in formal teaching and mentoring capacities to train and fit pastors for the very calling from which the mentors themselves are excluded? I don't think that works. The issue is always that inconsistency. If you strive to carve up teaching in such a way that it's suitable for women, it ceases to be suitable as seminary teaching." Let's just clarify that we at Hello Christian love Piper's teaching and think he's a great theologian. However, given the debate that has caught fire over the past 24 hours, it seems necessary to discuss the empowerment of women as Christians. The problem with Pastor John's teaching is the underlying message that men are the only ones Biblically qualified to lead. However, empowering women in leadership (teaching, pastoring, workplace, etc.) is Biblical, and misinterpretation of Scripture has formed Church culture over centuries yielding a very disempowered group of women. In Genesis, the curse of Adam and Eve's sin was that husbands would rule over wives. Note that it doesn't say men rule over women. Jesus came to do these two things: set us free and break the curse of sin. Saying that women are Biblically unqualified to lead is wrong. The new covenant we have with God through Jesus is less restrictive than the hundreds of laws given in the Torah. Jesus gave us two laws (love God, love your neighbor as yourself) and gave us the Holy Spirit to lead us into all truth. Women are qualified to lead others. If there's any Biblical restriction on women, it would be in the context of the home where they submit to their husbands. But really, that curse was broken too. Adam and Eve ruled together. It was the curse that put one above the other. Jesus broke that curse - the one that bound us to sin, bound humans to pain, etc. - on Calvary. Husbands and wives reign together again, and men and women have equal authority. In the story of the Samaritan woman, Jesus fully accepted an adulterous woman and told her secrets of the Kingdom. He gave her living water and ministered to her, telling her everything she'd ever done and not rejecting her one bit. As a result, she evangelized to everyone she knew about this man who crossed all social and religious barriers to love her. The Samaritan woman led an entire city to Jesus. The Biblical argument for empowering women is lengthy and complex, requiring careful examination. But suppressing an entire people group because of unsound tradition is just as demonic as it's ever been. For more resources on the Biblical argument for empowering women, check out this relatively compact explanation by renowned pastor and prophet Kris Vallotton, or read his heavily researched book Fashioned to Reign.